These presentation slides 49407 are complete compatible with Google Slides. Simple download PPTX and open the template in Google Slides. 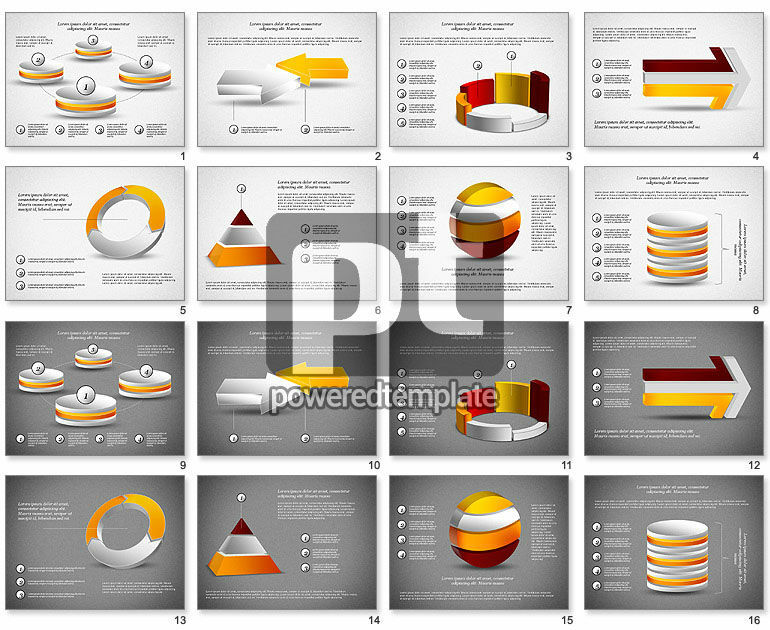 You will look and sound incredibly stylish and modern, if use this Three Dimensional Shapes Toolbox theme for your presentation. It impresses with its laconism and solid look containing lots of layered round tablets, cylinders, pyramids, circles and arrows which play the role of charts at the same time, not only background objects. The audience will certainly love such gorgeous data visualization.